Awesome work Joe! Do you know if this will work on Linux, as your 'fix' uses Wine? Can you give a step-by-step tutorial? RA2 is basically the only reason I'm trying to get W10 back on my laptop over Linux Mint. Nice! I'm unfamiliar eith how OSX works but would this allow for easy "file browsing" to add stuff (mods, bots, etc.) as the standard Windows RA2 does? I'm taking "Ready to Run app" as being basically a single exe rather than the whole folder structure you get in Windows. 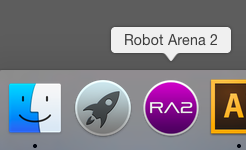 It may not be important to 90% of you but I got RA2 happily running native in OSx with some help from the updated Wine, No boot camp or duel installs just boots right off the dock. Suited for OSx Yosemite & El Capitan. 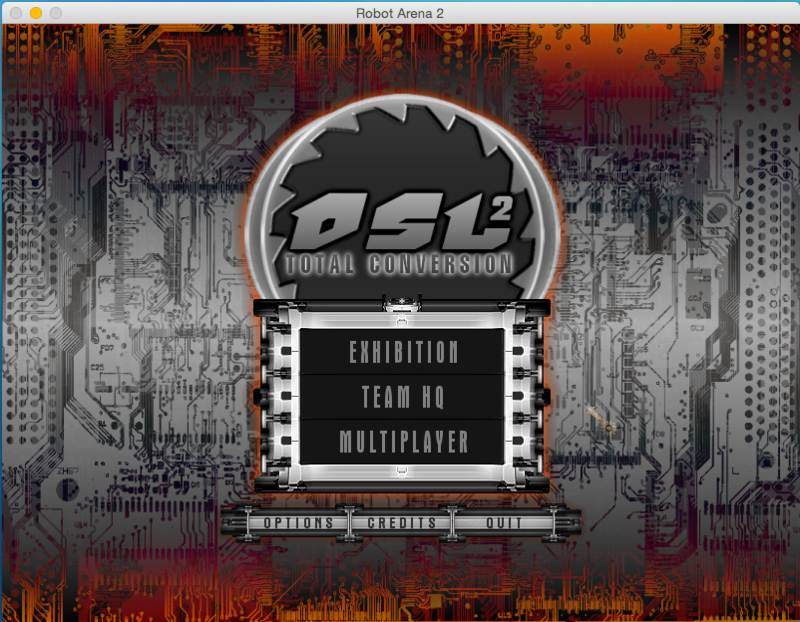 May work on earlier software but I haven’t tested it. 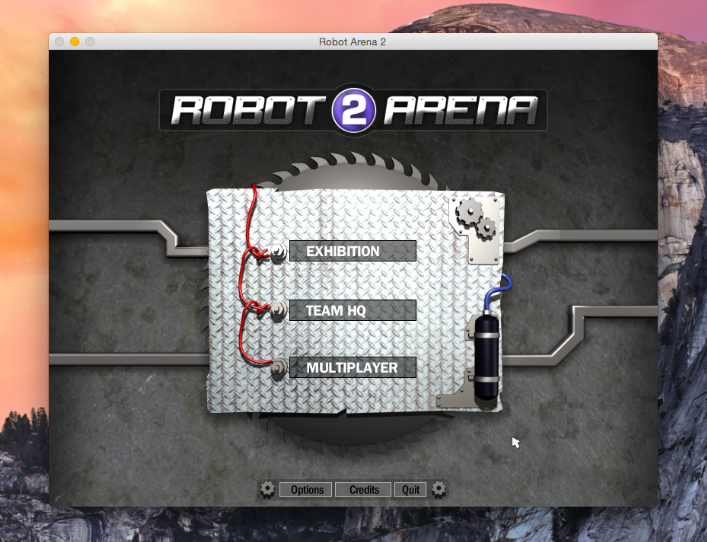 Exact clean copy of Robot Arena 2 with 1.3 Patch & 1.4 Patch installed so no other notes to really add. I was just trying to get RA2 to run on Wine today. This is exciting! No more difficult then Windows Navigation.. just need to know where to look. 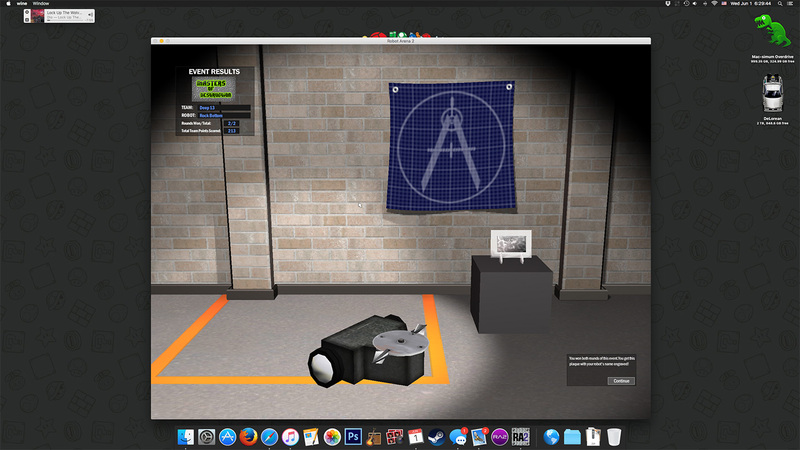 Crash Course: Mac's contain all the data, files, and the program itself, etc behind that programs singular app icon (which is actually a little more simple then windows).. You can either left click the icon to run the game or right click (Control click for purists) to access the files. Oh, how I've missed this game. Thanks JoeBlo! 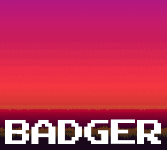 Fullscreen seems to cause an issue where the game won't load upon quitting and restarting, and some of the text is missing. (Probably something to do with that font error that pops up.) Other than that, it runs great on my Late 2012 iMac. I'll try it out on my MacBook Pro eventually. Okay thanks.. Ill look into it.. I only briefly tested full screen but seemed alright.. could be a screen size thing though, I tested it on a 13inch Macbook, Where as im assuming your iMac was 24 or 27 inch. Yeah, the fullscreen thing is probably something to do with having a 27" screen. I'll see if my MacBook Pro does the same thing. As for the font error, maybe I just need to install some Windows fonts. I haven't had Office on any of my current rigs. Unless the game is trying to locate the XP fonts folder in which case I might need to see if it will like using one of its own fonts instead.. In the events, when you get to the part where you need to do repairs, all of the damaged part names in the list are blank. Okay cool, Yeah thats section is definitely calling the system fonts, Ill look into editing it to use its own internal fonts instead. Mine didnt have that issue so its solvable with the right font.. but what that is specifically I do not know, plus fonts can be a bit of a minefield..
Nope. Still get the error and blank text. I wonder what the font is. Damn.. There goes that quick fix.. A copy of "Tahoma Normal" may be a starting point font wise? • I found a way to integrate "Tahoma font" into the emulation (Along with any other system fonts we may need) so I should have a corrected version live soon. • New icons.. because why not? • Brace yourself... DSL is coming! Just wanted to say this is great and I have yet to experience any major issue. However while on the subject of mods I've had trouble implementing my own. 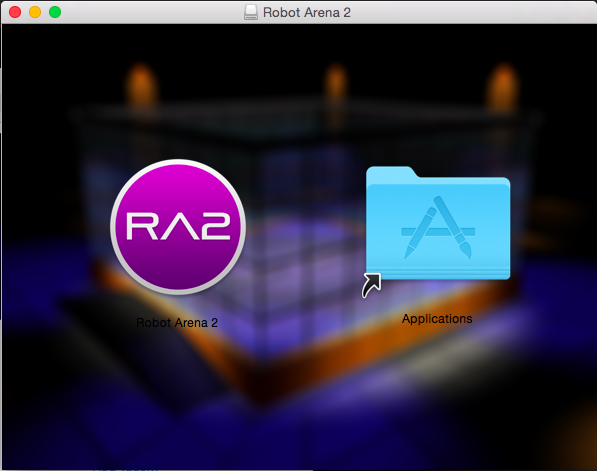 I've found the files we're all familiar with in Contents>wineprefix>drive_c>winebottler and I can add stuff to the Components folder just fine, but the game crashes when adding to the AI or Arenas folders (have only messed with those 3 so can't really comment on any other files/folders). Do you know of any other files/folders you have to edit to get it to work properly?